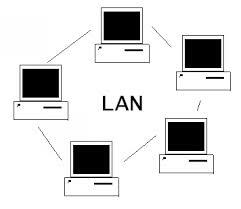 LAN (Local Area Network) - a local area network, ie. Computer group, interconnected. In Russian, this term is replaced by the abbreviation LAF (local computing network). Therefore, the concept of LAN and LAN equivalent. LANs are widely applied in various organizations, and in homes. multiplayer games. Combining multiple computers will allow users to play each other in a race, shooters, strategy, etc..
LAN can be created in the office. You can combine computers, which are located in different rooms, even on different floors. This allows employees to share information more quickly, and managers to monitor employees' work. LAN also created and houses. If a family has multiple computers, it is possible to combine them with each other for sharing Internet access, file sharing and online games. It's not a secret to anybody, that for the proper operation of computer hardware necessary to install a special program, that the equipment operated - the driver. LAN Driver - a network card driver, necessary for its full operation.